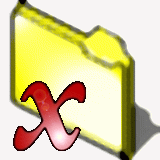 XWorkplace is the successor to Ulrich Möllers popular XFolder WPS-Enhancer utility. It contains all of its features and a lot of new ones. XWorkplace is Open Source software under the GNU General Public Licence (GPL), probably making it the most feature-rich freeware Workplace Shell enhancer on the planet. Everyone is kindly invited to join the project and contribute -- be it small bugfixes, or add the feature that you've always wanted to see in the WPS. All the features of XFolder 0.85, of course, except the bugs. XFolder is no longer maintained. Much better navigation and access of objects in the WPS through things like folder content menus and object hotkeys. Folder enhancements such as status bars and global sort settings. Folder split views a la Windows. Enhanced file operations: a trash can, which intercepts all WPS deletes, and a new implementation for data file associations. Many keyboard and mouse enhancements similar to those of NPS WPS and WarpEnhancer, such as sliding focus. Lots of new settings pages everywhere to make your system configuration easier ("Sounds" object, "WPS Class List" object, "Drivers" and "System paths" pages in "OS/2 Kernel", and much, much more). A complete rewrite of the OS/2 shutdown procedure. You can skip hung apps, automatically reboot, and even reboot to another partition. For more information, please also see xworkplace.org.